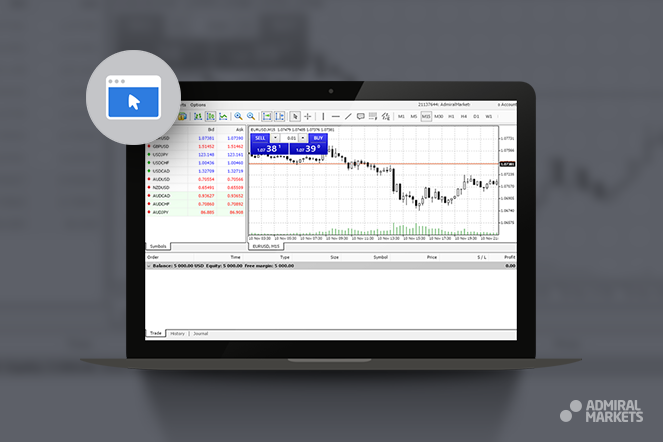 Did you know that you can now safely trade Forex and CFDs from any browser or computer? That's right. MT4 WebTrader works on any operating system (Mac, Windows, Linux) and does not require downloading. To start web trading, simply login to web.admiralmarkets.com with your existing Admiral Markets Demo or Live account. Use your existing Admiral Markets account to start using WebTrader.